The Nesbit family has been at the forefront of quality watch repair and service for over a century. Each generation of watchmaker has been masterfully trained and is dedicated to the meticulous care and maintenance that your preeminent timepiece deserves. 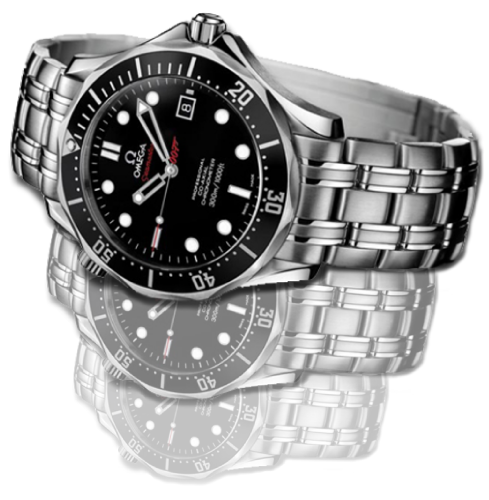 Nesbit's provides premier, state-of-the art watch repair service in Seattle. Nesbit’s is a family owned and run business that has been dedicated to repairing and restoring quality timepieces for four generations. Tom and John are both committed to expertly restoring your valuable timepiece to its original condition and optimal performance levels. Their state-of-the-art facility and certifications (WOSTEP and/or CW21), combined with years of experience and premier customer service, makes Nesbit’s Fine Watch Service one of the finest watch repair centers in the nation. Nesbit’s Fine Watch Service offers professional quality Watch Service on Rolex, Omega, Tag Heuer, Baume & Mercier Rado, Longines, Movado, Hamilton, and many more. Nesbit's certified watchmakers also have the experience and precision equipment to expertly service and repair a variety of luxury watch brands. By only using genuine brand parts for repairs, Nesbit's ensures our customers' watches will last for years to come. We offer unparalleled service for high quality watch brands. The Rolex brand has been a world-class company since 1905. In order to meet the unique service needs for the exclusive Rolex brand, Nesbit’s Fine Watch Service has a dedicated team to ensure that your treasured Rolex watch will be expertly serviced using only genuine spare parts and up to date training therefore upholding the integrity of your fine timepiece for many generations. Whether you own an Air- King, Datejust, Submariner, Sea-Dweller, Yacht-Master, President, GMT or Vintage Oyster Perpetual, you can trust your Rolex with the Nesbit family business. Nesbit’s is the only independent service facility in the NW States to qualify for a spare parts account with Rolex. Always driven by an innovative spirit, Omega was the first watchmaker to create the divers’ watch. As the leader in sports timekeeping, Omega is a high-quality watch worn by sports enthusiasts around the globe. Nesbit’s Fine Watch Service in Seattle has the ability to pressure test your Omega to a depth of 3600 ft/1200m and has been trained in complicated Co-Axial Escapement and Chronograph Service. Nesbit’s wants to continue this legacy and commitment to innovation by repairing each OMEGA brand watch with authentic replacement parts and expert service. Contact us for an Omega Watch Service cost estimate. Nesbit’s has many years of experience in servicing the Speedmaster, Seamaster Professional Series, Constellation Series, Planet Ocean Series, Aqua Terra, Double Eagle, as well as all the Vintage Mark Series (including the specialized sun burst finish), Flightmaster and many more models. Since 1860, TAG Heuer has created innovative and classic time pieces. Whether you own an automatic chronograph that is in need of repair, or simply need a battery replacement and pressure test, the experts at Nesbit’s Fine Watch Service in Seattle can help you. We provide water-resistance tests, battery, and gasket replacement as well as complete maintenance service. Our service professionals will take the time and care necessary to ensure your TAG Heuer functions for years to come. Please see our Services page for detailed explanation on all that is included with the Complete Maintenance Service. The attributes of these outstanding timepieces are matched only by Nesbit's dedication to quality, accuracy and a lifetime of watch repair and service. Trouble-free Service for Clients in All 50 States as well as internationally! Nesbit's Fine Watch Service has been located in Seattle's distinguished, Joshua Green Building for many years. To more efficiently serve their valued clients and better accommodate their state-of-the-art equipment, the Nesbit's moved into one of the building's renovated suites. This, coupled with their training and expertise, makes Nesbit's the first choice for quality timepiece owners nationwide. The Nesbits' thank you for visiting their website and want to invite you to browse and become acquainted with the family's current watchmakers, their modern facility and full-line of services. Nesbit's proudly serves clients in all 50 states and across the globe and strives to make your experience user-friendly and trouble-free. Call, E-mail, or stop by Nesbit's today for a free, no-obligation estimate!